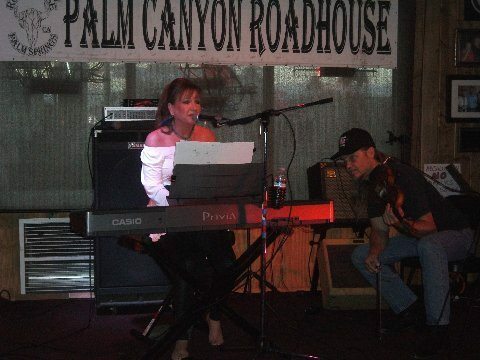 SHOH’s very own Alumni, Lisa Lynn Morgan held an intimate benefit concert in honor of SHOH on June 16, 2016 at the Palm Canyon Roadhouse in Palm Springs. Lisa has turned her life around after leaving SHOH and has set her sights on singing country music and is now doing concert tours. 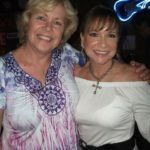 We are so proud of Lisa Lynn, before her performance at the benefit concert she told her story about rock hitting bottom and how she would not have made it if not for House of Hope. Lisa Lyn had Dot Reed, SHOH Past President, come up and say a few words on the importance of saving women’s lives from the depths of addiction. All the proceeds from the concert are being generously donated to the Soroptimist House of Hope. Also in attendance showing their support was Pam Field, SI Desert Cities member (and Past SHOH President) and a few other SHOH Alumni. Special thanks to Lisa Lynn Morgan for putting on such a wonderful benefit concert. We are extremely grateful for your support and proud of your success! Check out Lisa Lyn Morgan’s article below, “The Faces of Recovery and the Common Thread of Hope” featured in CV Weekly. 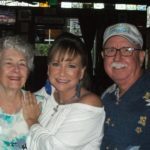 In the article Lisa Lynn highlights stories of local and national recovering artist including her own story and her ties with the House of Hope and her road to recovery.